Basic setup (placing supplied print-ready images into template), PDF proof and Free Ground Shipping (US48; 1-Commercial Location). 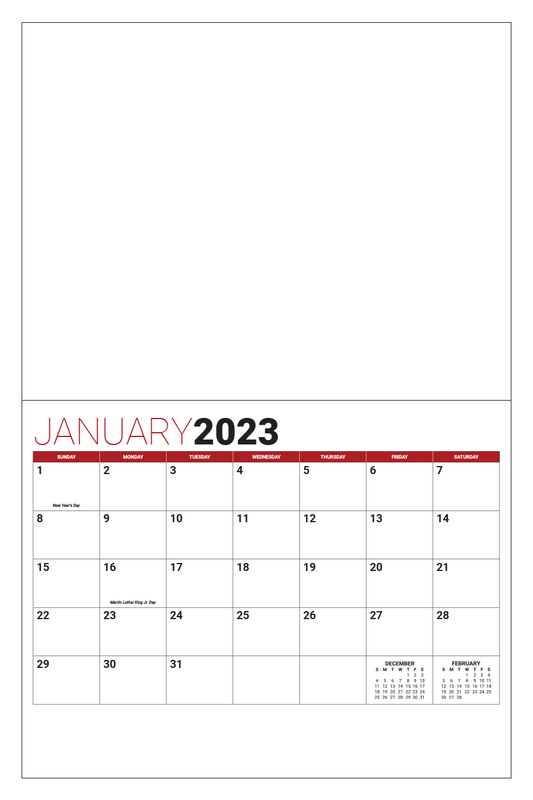 Custom photo calendar with basic setup & PDF proof included! 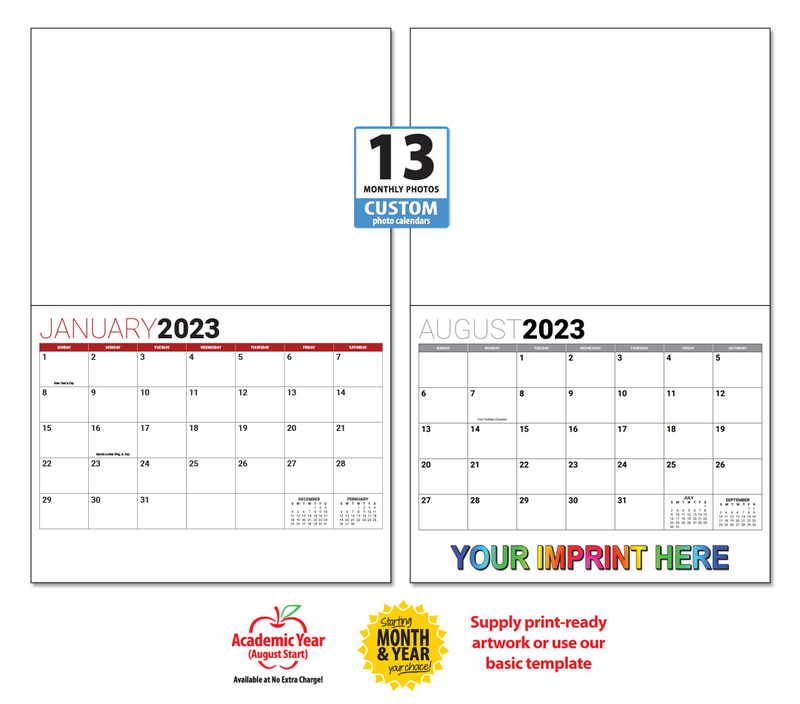 Our most popular custom printed photo calendar! use your own images and branding throughout to create a truly custom photo calendar. 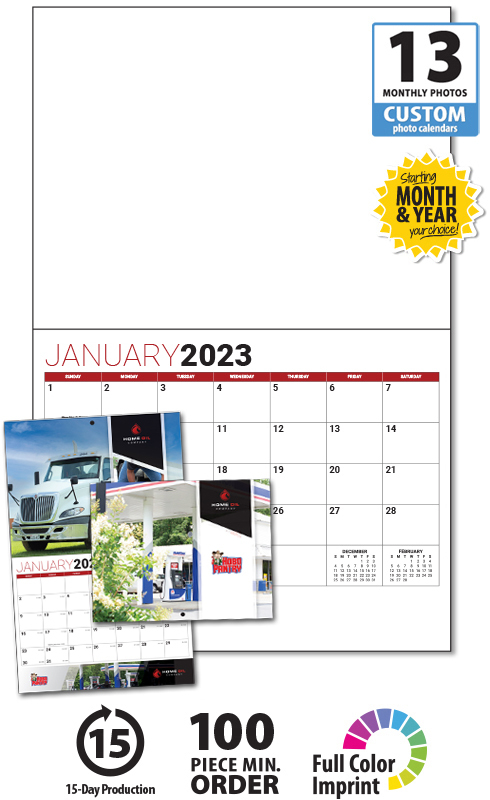 These affordable stapled photo wall calendars are great for fundraisers, business gifts and promotional use. Supply your own custom print-ready PDF file (28-page), or send the individual cover, 13 months and bottom ad imprint as separate images and we'll assist with layout using our basic template. Limited template customization is included to the calendar grid border color, fonts and date block overprints (limitations apply). This high-quality affordable custom 13-Month Photo Stapled Wall Calendar will proudly display your message for the entire year! Includes placing your supplied print-ready images to our template. If required, our graphic design services are billed at $80/hr. in 30 minute increments.